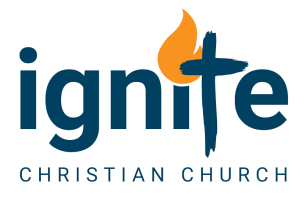 True Success Is Not Measured By Archives - Ignite Christian Church Who among us doesn’t want success in our lives? Thing is, most of us don’t even know what success looks like. Is it the big car, the big house or the fat bank account? Is it the perfect family, 2.4 children, or the perfect career or is it fame, fortune or fun? The dictionary defines success as “the accomplishment of an aim or purpose.” Or “the attainment of fame, wealth, or social status.” That’s worldly success, it’s the power with which to acquire whatever one wants in life, preferably without violating the rights of others. A Christian definition of success, true success, needs to go beyond just getting what you want without hurting others. Success is more than just power for you; it is the privilege of contributing to the betterment of others. God has plans for you, and as we saw last week, abiding in Christ and reading His Word daily will cause you to be successful in every area of your life. Joshua 1:8 (ESV Strong's) This Book of the Law shall not depart from your mouth, but you shall meditate on it day and night, so that you may be careful to do according to all that is written in it. For then you will make your way prosperous, and then you will have good success.